To evaluate functional and periodontal aspects in patients with unilateral or bilateral congenitally missing maxillary lateral incisors, treated with either implants or space closure and tooth re-contouring. The sample consisted of 68 volunteers, divided into 3 groups: SCR - space closure and tooth re-contouring with composite resin (n = 26); SOI – implants placed in the area of agenesis (n = 20); and CG - control group (n = 22). A modified Helkimo questionnaire and the Research Diagnostic Criteria for Temporomandibular Disorders were used by a single, previously calibrated evaluator to assess signs and symptoms of temporomandibular joint disorder. The periodontal assessment involved the following aspects: plaque index, bleeding upon probing, pocket depth greater than 3 mm, gingival recession, abfraction, periodontal biotype and papilla index. The data were analyzed using Fisher's exact test and the nonparametric Mann-Whitney and Kruskal-Wallis tests (α=.05). No differences in periodontal status were found between treatments. None of the groups were associated with signs and symptoms of temporomandibular joint disorder. Both treatment alternatives for patients with congenitally missing maxillary lateral incisors were satisfactory and achieved functional and periodontal results similar to those of the control group. Keywords: Dental agenesis, Dental implants, Composite resin, Orthodontic treatment. © De Marchi et al. ; Licensee Bentham Open. Maxillary lateral incisor agenesis occurs in 0.8 to 2% of the population in the permanent dentition phase [1 Altug-Atac AT, Erdem D. Prevalence and distribution of dental anomalies in orthodontic patients Am J Orthod Dentofacial Orthop 2007; 131: 510-4.-3 Pinho T, Tavares P, Maciel P, Pollmann C. Developmental absence of maxillary lateral incisors in the Portuguese population Eur J Orthod 2005; 27: 457-60.]. Except for the third molar, agenesis of the maxillary lateral incisor has been the most frequent kind among different populations [1 Altug-Atac AT, Erdem D. Prevalence and distribution of dental anomalies in orthodontic patients Am J Orthod Dentofacial Orthop 2007; 131: 510-4., 3 Pinho T, Tavares P, Maciel P, Pollmann C. Developmental absence of maxillary lateral incisors in the Portuguese population Eur J Orthod 2005; 27: 457-60., 4 Fekonja A. Hypodontia in orthodontically treated children Eur J Orthod 2005; 27: 57-60.]. However, this prevalence varies according to ethnic background and population [3 Pinho T, Tavares P, Maciel P, Pollmann C. Developmental absence of maxillary lateral incisors in the Portuguese population Eur J Orthod 2005; 27: 457-60., 5 Endo T, Ozoe R, Yoshino S, Shimooka S. Hypodontia Patterns and Variations in Craniofacial Morphology in Japanese Orthodontic Patients Angle Orthod 2006; 76: 996-1003.]. Dental agenesis in the maxillary anterior region compromises smile balance and symmetry [2 Araújo EA, Oliveira DD, Araújo MT. Diagnostic protocol in cases of congeniytally missing maxillary lateral incisors World J Orthod 2006; 7: 376-88., 6 Cunningham SJ, O’brien C. Quality of life and orthodontics Semin Orthod 2006; 13: 96-103.]. Therefore, treating these patients requires an interdisciplinary approach aimed at rehabilitating the smile, both in terms of function and aesthetics [7 Rosa M, Zachrisson BU. Integrating space closure and esthetic dentistry in patients with missing maxillary lateral incisors J Clin Orthod 2007; 41: 563-73.-9 Turpin LT. Treatment of missing lateral incisors Am J Orthod Dentofacial Orthop 2004; 125: 129.]. The literature describes two treatment options for congenitally missing lateral incisors: space closure with mesial repositioning of the canine, followed by tooth re-contouring; or space opening followed by placement of a prosthesis, transplant or dental implant [8 Sabri R. Management of missing lateral incisors J Am Dent Assoc 1999; 130: 80-4.-5 Endo T, Ozoe R, Yoshino S, Shimooka S. Hypodontia Patterns and Variations in Craniofacial Morphology in Japanese Orthodontic Patients Angle Orthod 2006; 76: 996-1003.]. To help dentists plan for these situations, a number of studies have assessed the results of the different treatment options [16 Carlson H. Suggested treatment for missing lateral incisor cases Angle Orhod 1952; 22: 205-16.-25 Thilander B, Ödman J, Lekholm U. Orthodontic aspects of the use of oral implants in adolescents: a 10 year follow-up study Eur J Orthod 2001; 23: 715-31.]. However, no studies could be found comparing the occlusal and periodontal status in patients treated with either space closure plus tooth re-contouring or with implants. From a functional standpoint, there is controversy regarding the need to achieve Angle Class I molar relationship at the end of treatment [18 Nordquist GC, McNeill RW. Orthodontic vs. restorative treatment of the congenitally absent lateral incisor - longterm periodontal and occlusal evaluation J Period 1975; 46: 139-43., 20 Senty EL. The maxillary cuspid and missing lateral incisors: Esthetics and occlusion Angle Orthod 1976; 46: 365-71.]. The lack of canine protected occlusion has been pointed out as a disadvantage in cases treated with space closure, as it could affect the occlusion, favor the occurrence of cervical abfraction lesions, and cause signs and symptoms of temporomandibular disorder (TMD) [17 Harzer W, Reinhardt A. Limiting factors of functional adaptation to orthodontic space closure Eur J Orthod 1990; 12: 354-7., 26 Asher C, Lewis DH. The integration of orthodontic and restorative procedures in cases with missing maxillary incisors Br Dent J 1086; 160: 241-5.-30 Pullinger AG, Seligman DA, Gornbein JA. A multiple logistic regression analysis of the risk and relative odds of temporomandibular disorders as a function of common occlusal features J Dent Res 1993; 72: 968-79.]. On the other hand, the premolar is considered an adequate substitute for the canine, as clinical trials have found no differences in occlusal function or signs and symptoms of TMD in patients treated either with space closure or prostheses [18 Nordquist GC, McNeill RW. Orthodontic vs. restorative treatment of the congenitally absent lateral incisor - longterm periodontal and occlusal evaluation J Period 1975; 46: 139-43.-20 Senty EL. The maxillary cuspid and missing lateral incisors: Esthetics and occlusion Angle Orthod 1976; 46: 365-71.]. The aim of the present study was to assess signs and symptoms of TMD and periodontal status in patients with unilateral or bilateral maxillary lateral incisor agenesis, treated with either space closure (mesial movement of the canines) or with tooth implants following orthodontic treatment, in comparison to individuals without agenesis and not submitted to orthodontic treatment. The null hypothesis was that patients with missing teeth who underwent treatment had similar functional and periodontal performance to the control group. Patients with uni or bilateral lateral incisors agenesis were selected from the files of the Dentistry Department, Public Dental Service, State University of Maringá, Brazil. The study was approved by the Ethics Local Committee (process n° 010800093000-08). Patients’ selection criteria included those with congenital absence of 12 and/or 22, only one tooth missing in each maxillary quadrant, patients not treated with prosthesis to replace missing lateral incisor and orthodontic treatment previously implant or restoration. All cases should be orthodontically treated with the incisors being lined up at the gingival margin. Sixty patients met these criteria and were contacted by telephone and informed of the study. Fourteen patients could not participate because they moved to the other states or they didn’t want to participate. Fourty-six subjects were divided into two groups: 26 patients (9 unilateral and 17 bilateral agenesis) treated with space closure involving the mesial movement of canines and remodeling of maxillary anterior teeth using composite resin (SCR) and 20 patients (10 unilateral and 10 bilateral agenesis) treated by opening lateral incisor spaces and placing implants in the region of the agenesis (SOI). A control group (CG) composed by 22 patients were selected among undergraduate dental students from State University of Maringá, Brazil (power analysis = 0.94). The criteria for inclusion in the control group were: no previous orthodontic or orthopedic treatment; no history of orofacial pain in the previous year; no use of an occlusion plate; presence of all teeth in the oral cavity (except third molars); no bone base discrepancies; and good dental alignment. A history of orofacial pain and the use of an occlusion plate were not regarded as exclusion criteria for the SCR and SOI groups. The average age for the sample was 24.95 years (14.10 to 41.10) for SCR, 25.12 years (19.02 to 45.08) for SOI, and 21.30 years (19.07 to 26.12) for CG. All participants were evaluated by a single, previously calibrated examiner. The periodontal status of patients treated with space closure or implants (experimental groups) was assessed by analyzing the following factors in the maxillary arch, from the right first premolar to the left first premolar: plaque index; bleeding upon probing; probing depth greater than 3 mm on the mesial, distal, lingual and buccal faces [31 O’Leary T, Drake R, Naylor JE. The plaque control record J Periodontol 1972; 43: 38-9.-34 Chang M, Wennström JL, Ödman P, Andersson B. Implant supported single-tooth replacements compared to contralateral natural teeth. Crown and soft tissue dimensions Clin Oral Impl Res 1999; 10: 185-94.]. Probing was performed using a millimeter probe with a 0.45 mm-wide tip (Hu-Friedy, Chicago, USA). Papilla index, abfraction lesions and periodontal biotype were recorded for all three groups. The extent of gingival recession was measured in millimeters as the vertical extension from the cementoenamel junction to the gum line in the maxillary and mandibular arches, using a periodontal probe. [35 Jemt T. Regeneration of the gingival papillae after single implant treatment. International J Period Rest Dent 1997; 17: 326-3.-38 Bengazi F, Wennström JL, Lekholm U. Recession of the soft tissue margin at oral implants. A 2-year longitudinal prospective study Clin Oral Implants Res 1996; 7: 303-10.] Periodontal biotype (thick or thin) was recorded [39 Olsson M, Lindhe J. Periodontal characteristics in individuals with varying form of the upper central incisor J Clin Periodontol 1991; 18: 8-82.]. All evaluated implants were hexagonal with a narrow platform. A questionnaire was applied to collect data on signs and symptoms of TMD (HELKIMO modified by Conti, 1996). [40 Conti PC, Ferreira PM, Pegoraro LF, Conti JV, Salvador MC. A cross-sectional study of prevalence and etiology of signs and symptoms of temporomandibular disorders in high school and university students J Orofac Pain 1996; 10: 254-62.] This questionnaire made it possible to assess whether the participant had mild, moderate or severe TMD, or no TMD at all. The Research Diagnostic Criteria for Temporomandibular Disorders (RDC/TMD) drafted by Dworkin and LeResche (1992) were also used to classify individuals with and without TMD in a clear, objective manner [41 Dworkin SF, Leresche L. Research diagnostic criteria for temporomandibular disorders: review, criteria, examinations and specifications, critique J Craniomandibular Disord 1992; 6: 301-55.]. Statistica 9.0 software (StatSoft, Inc., USA) was used for statistical analysis, with the level of significance set at 5%. Fisher’s exact test was used to determine associations between the qualitative variables and groups. After the Shapiro-Wilk test demonstrated the non-normal distribution of the data on treatment completion time, plaque index and gingival bleeding, the non-parametric Mann-Whitney test was used to determine differences between the SCR and SOI groups regarding these variables. The non-parametric Kruskal-Wallis test (for two or more independent samples) was used to compare the SCR, SOI and CG groups regarding the papilla index. Fisher’s exact test revealed no statistically significant differences between the SCR, SOI and CG groups with regard to gender and unilateral or bilateral agenesis (Table 1). Patients in the SCR group were evaluated 3.90 ± 3.48 years after the end of treatment, and SOI patients were observed 3.54 ± 2.39 years after completion. The Mann-Whitney test revealed no statistically significant differences (P=.89) between these groups regarding treatment completion time. The Mann-Whitney test showed no statistically significant differences in plaque index (P=1.0) between the SCR (61 ± 13%) and SOI (52 ± 11%) groups, and in bleeding index (P=1.0) between the SCR (11 ± 18%) and SOI (7 ± 6%) groups. Probing depth greater than 3 mm was not frequent in either group. In the SCR group, only 15 faces (1%) had a probing depth greater than 3 mm, with 25 faces (1.7%) in the SOI group. Fisher’s exact test showed that the thick periodontal biotype was significantly associated (P=.01) with the SOI group, whereas the thin biotype was associated with the SCR and CG groups (Table 2). When used to verify the dependency relationship between periodontal biotype and gingival recession, Fisher’s exact test revealed no statistically significant association for groups SCR (P =.39) and CG (P=.51) (Table 3). The absence of gingival recession was significantly associated with the thick periodontal biotype (P=.04). The incidence of abfraction was lower. Only five buccal faces of maxillary teeth showed abfraction: two molars and one premolar in the SCR group, one premolar in the SOI group, and one premolar in the CG group. The Kruskal-Wallis test revealed statistically significant differences between the SCR, SOI and CG groups with regard to mesial papilla of the maxillary right and left lateral incisors (Table 4). The following conditions were diagnosed in the entire sample: myofascial pain, myofascial pain with limited opening, and reduced disc movement (Table 5). Fisher’s exact test revealed no statistically significant differences between groups (treated and control) with regard to signs and symptoms of TMD. There were also no statistically significant differences between groups with regard to signs and symptoms of TMD as assessed in the modified Helkimo questionnaire. The main signs and symptoms were headache, joint noises and unilateral chewing (Table 6). Patients in the SCR and SOI groups were asked whether they clenched their teeth or someone had reported observing this habit in them. Three patients in the SCR group and five in the SOI group declared having this parafunctional habit. A number of studies in the literature have assessed the results of treating patients with congenitally missing lateral incisors [17 Harzer W, Reinhardt A. Limiting factors of functional adaptation to orthodontic space closure Eur J Orthod 1990; 12: 354-7.-20 Senty EL. The maxillary cuspid and missing lateral incisors: Esthetics and occlusion Angle Orthod 1976; 46: 365-71., 22 Zarone F, Sorrentino R, Vaccaro F, Russo S. Prosthetic treatment of maxillary lateral incisor agenesis with osseointegrated implants: a 29-34 month prospective clinical study Clin Oral Impl Res 2006; 17: 94-101.]. However, no studies have compared periodontal status and the presence of signs and symptoms of TMD in patients treated with space closure and tooth re-contouring with composite resin to those treated with space opening and implant placement. In the present study, these two groups showed similar periodontal and functional status (Figs. 1 , 2 and 3 ). Intraoral photographs of a patient from the SCR group, four years after treatment conclusion. (A) Frontal view. (B) Left view. (C) Right view. Intraoral photographs of a patient from the SOI group, three and a half years after treatment conclusion. (A) Frontal view. (B) Left view. (C) Right view. Radiographs of a patient from SOI group (A) seven years after treatment completion time and of a patient from SCR group (B) eleven years after treatment completion time. The greater prevalence of women and bilateral agenesis found in this study is in agreement with findings described in the literature [1 Altug-Atac AT, Erdem D. Prevalence and distribution of dental anomalies in orthodontic patients Am J Orthod Dentofacial Orthop 2007; 131: 510-4.-4 Fekonja A. Hypodontia in orthodontically treated children Eur J Orthod 2005; 27: 57-60., 19 Robertsson S, Mohlin B. The congenitally missing lateral incisor. A retrospective study of orthodontic space closure versus restorative treatment Eur J Orthod 2000; 22: 697-710.]. For many years, clinical studies assessing treatments for maxillary lateral incisor agenesis have defended the repositioning and re-contouring of the canine, due to periodontal problems found in patients treated with prostheses [16 Carlson H. Suggested treatment for missing lateral incisor cases Angle Orhod 1952; 22: 205-16., 18 Nordquist GC, McNeill RW. Orthodontic vs. restorative treatment of the congenitally absent lateral incisor - longterm periodontal and occlusal evaluation J Period 1975; 46: 139-43., 21 Tuverson DL. Orthodontic treatment using canines in place of missing lateral incisors Am J Orthod 1970; 58: 109-27.]. In the present study, the plaque index was high in the SCR (61%) and SOI (52%) groups, with no statistically significant difference between the two groups. An epidemiologic study found that 46% of individuals not in periodontal or dental treatment had a plaque index above 50%, demonstrating a failure in performing adequate plaque control [42 Ericsson JS, Abrahamsson KH, Ostberg A, Hellström M, Jönsson K, Wennström JL. Periodontal health status in Swedish adolescents: an epidemiological, cross-sectional study Swed Dent J 2009; 33: 131-9.]. In the present study, the over-contouring of the restorations on re-modeled canines was considered a plaque-retention factor in only two patients from the SCR group. The plaque index was slightly lower in the patients treated with dental implants than in the group treated with re-contouring using composite resin. This may be related to the low degree of adherence of bacterial plaque to the porcelain veneer of the implant, unlike the composite resin, which favors a greater buildup of residue due to the difficulty in achieving adequate polishing near the gingival tissue [43 Chan C, Weber H. Plaque retention on teeth restored with fullceramic crowns: a comparative study J Prosthet Dent 1986; 56: 666-71., 44 Beyth N, Bahir R, Matalon S, Domb AJ, Weiss EI. Streptococcus mutans biofilm changes surface-topography of resin composites Dent Mater 2008; 24: 732-6.]. Both the SCR and SOI groups had a low degree of bleeding upon probing, with no statistically significant difference between the groups. In the SOI group (7%), this condition was observed more often around the implant, characterizing peri-implant inflammation, which may be related to poor oral hygiene [45 Ferreira SD, Silva GLM, Cortelli JR, Costa JE, Costa FO. Prevalence and risk variables for peri-implant disease in Brazilian subjects J Clin Periodontol 2006; 33: 929-35.]. In conjunction with adequate oral hygiene control, the prosthetic emergence profile is of considerable importance to maintain periodontal health, and must be respected when re-contouring with composite resin or placing a prosthesis over the implant [45 Ferreira SD, Silva GLM, Cortelli JR, Costa JE, Costa FO. Prevalence and risk variables for peri-implant disease in Brazilian subjects J Clin Periodontol 2006; 33: 929-35., 46 Ferencz JL. Maintaining and enhancing gingival architecture in fixed prosthodontics J Prosthet Dent 1991; 65: 650-7.]. Despite the low incidence of probing depth greater than 3 mm in the SCR and SOI groups, it is known that mesial movement of the canines and the implant placement technique tend to favor probing depths greater than 3 mm [15 McNeill RW, Joondeph DR. Congenitally absent maxillary lateral incisors: treatment planning considerations Angle Orthod 1973; 43: 24-9., 34 Chang M, Wennström JL, Ödman P, Andersson B. Implant supported single-tooth replacements compared to contralateral natural teeth. Crown and soft tissue dimensions Clin Oral Impl Res 1999; 10: 185-94.]. Chang et al. [34 Chang M, Wennström JL, Ödman P, Andersson B. Implant supported single-tooth replacements compared to contralateral natural teeth. Crown and soft tissue dimensions Clin Oral Impl Res 1999; 10: 185-94.] (1999) compared the periodontal status of dental implants to contralateral natural teeth, and found the probing depth to be greater around the implant; the same was true for the plaque index and bleeding upon probing. The mean gingival recession was 45% and 46% in the SCR and SOI groups, respectively, with no statistically significant association with the thin periodontal biotype in either group. In the SOI group – in which 70% of the patients had the thick periodontal biotype – gingival recession was not observed around the implants. The literature reports that gingival recession of 1 mm or more occurs in more than 50% of the population regardless of oral hygiene status, and increases with age; this etiology is associated with anatomic, physiologic and pathologic factors [37 Kassab MM, Cohen RE. The etiology and prevalence of gingival recession J Am Dent Assoc 2003; 134: 220-5.]. Although changes in dental intercuspation were expected to result in cervical abfraction lesions, this condition was seldom observed in the present study [28 Telles D, Pegoraro LF, Pereira JC. Prevalence of noncarious cervical lesions and their relation to occlusal aspects: A clinical study J Esthetic Dent 2000; 12: 10-5.]. The relatively short time since treatment completion (approximately 3 years on average) in the SCR and SOI groups made it impossible to relate this change to either type of treatment. The fact that the sample was made up of young adults favored the low occurrence of abfraction, as this type of lesion is more common in older patients [28 Telles D, Pegoraro LF, Pereira JC. Prevalence of noncarious cervical lesions and their relation to occlusal aspects: A clinical study J Esthetic Dent 2000; 12: 10-5.]. Statistically significant differences were detected between the SCR, SOI and CG groups with regard to interdental space-filling by papillae between the central and lateral incisors. The SOI group showed the most significant change in the papilla index; this was expected in relation to the implants due to the long-term re-contouring of the surrounding soft tissue [38 Bengazi F, Wennström JL, Lekholm U. Recession of the soft tissue margin at oral implants. A 2-year longitudinal prospective study Clin Oral Implants Res 1996; 7: 303-10.]. Improved surgical technique control and technological advances are expected to minimize this alteration. A number of authors report that when space closure of the lateral incisor through mesial movement of the canine is chosen for agenesis, changes occur in dental intercuspation, such as group or premolar disocclusion, which can have a substantial effect on the occlusion [17 Harzer W, Reinhardt A. Limiting factors of functional adaptation to orthodontic space closure Eur J Orthod 1990; 12: 354-7., 20 Senty EL. The maxillary cuspid and missing lateral incisors: Esthetics and occlusion Angle Orthod 1976; 46: 365-71., 26 Asher C, Lewis DH. The integration of orthodontic and restorative procedures in cases with missing maxillary incisors Br Dent J 1086; 160: 241-5., 27 Balshi TJ. Osseointegration and orthodontics: modern treatment for congenitally missing teeth Int J Period Rest Dent 1993; 13: 494-505.]. An important aspect in the prognosis of treatment regarding TDM and periodontal aspect is the occlusion guide. This was evaluated and it was found that protrusive guidance was present in all patients treated with space closure or implants. Canine lateral guidance was present in 15 from 26 patients (SCR group) and in 16 from 20 patients (SOI group). Group disocclusion was found in the other patients of these groups. In the present study, however, no treatment-related TMD was found in any of the analyzed groups. This finding corroborates the results described by a number of authors who report that space closure is not related to TMD, and that the premolar is considered an adequate substitute for the canine from a functional standpoint [15 McNeill RW, Joondeph DR. Congenitally absent maxillary lateral incisors: treatment planning considerations Angle Orthod 1973; 43: 24-9., 18 Nordquist GC, McNeill RW. Orthodontic vs. restorative treatment of the congenitally absent lateral incisor - longterm periodontal and occlusal evaluation J Period 1975; 46: 139-43.-20 Senty EL. The maxillary cuspid and missing lateral incisors: Esthetics and occlusion Angle Orthod 1976; 46: 365-71., 47 Kahn J, Tallents RH, Katzberg RW, Ross ME, Murphy WC. Prevalence of dental occlusal variables and intraarticular temporomandibular disorders: Molar relationship, lateral guidance, and non-working side contacts J Prosthet Dent 1999; 82: 410-15.]. Changes in occlusion are known to have dental, periodontal and joint consequences associated with parafunction [28 Telles D, Pegoraro LF, Pereira JC. Prevalence of noncarious cervical lesions and their relation to occlusal aspects: A clinical study J Esthetic Dent 2000; 12: 10-5., 48 Schiffman E, Fricton JR, Harley D. The relationship of occlusion, parafunctional habits and recent life events to mandibular dysfunction in a non-patient population J Oral Rehabit 1992; 19: 201-3.]. However, dental contact time during mastication seems to be insufficient to affect the TMJ and associated musculature [49 Wilding RJ, Lewin A. The determination of optimal human jaw movements based on their association with chewing performance Arch Oral Biol 1994; 39: 333-43.]. The study carried out by Droukas et al. [29 Droukas B, Lindée C, Carlsson GE. Relationship between occlusal factors and signs and symptoms of mandibular dysfunction. A clinical study of 48 dental students Acta Odontol Scand 1984; 42: 277-83. ], (1984) supports the concept of the multi-factor etiology of TMD, as no relationship was found between occlusal variables and the signs/symptoms diagnosed. On the other hand, Pullinger et al. [30 Pullinger AG, Seligman DA, Gornbein JA. A multiple logistic regression analysis of the risk and relative odds of temporomandibular disorders as a function of common occlusal features J Dent Res 1993; 72: 968-79.] (1993) found that changes in normal occlusion – such as open bite, unilateral crossbite, horizontal overlap greater than 6 mm, more than five missing posterior teeth and a difference greater than 2 mm in maximum habitual intercuspation for centric relation – were positively associated with TMD. None of the groups showed any of these changes in the present study, thereby favoring a satisfactory result with regard to the TMJ. Genetics, psychosocial factors and parafunction are known to be positively associated with TMD as well [48 Schiffman E, Fricton JR, Harley D. The relationship of occlusion, parafunctional habits and recent life events to mandibular dysfunction in a non-patient population J Oral Rehabit 1992; 19: 201-3., 50 Diatchenko L, Slade GD, Nackley AG, et al. Genetic basis for individual variations in pain perception and the development of a chronic pain condition Hum Mol Genet 2005; 14: 135-43., 51 Wright AR, Gatchel RJ, Wildenstein L, Riggs R, Buschang P, Ellis E. Biopsychosocial differences between high-risk and low-risk patients with acute TMD-related pain J Am Dent Assoc 2004; 135: 474-83.]. The treatment for missing teeth can be prolonged due to limitations involving age and occlusal development. The patients in the present sample were treated by different specialists. From the results of the study, both forms of treatment achieved satisfactory results, even when executed by different teams. The treatment of congenitally missing maxillary lateral incisors requires interdisciplinary planning to achieve a functional and aesthetically pleasing smile. [8 Sabri R. Management of missing lateral incisors J Am Dent Assoc 1999; 130: 80-4.,9 Turpin LT. Treatment of missing lateral incisors Am J Orthod Dentofacial Orthop 2004; 125: 129.,23 Zachrisson BU. Improving the esthetic outcome of canine substitution for missing maxillary lateral incisors World J Orthod 2007; 8: 72-9.] A number of factors must be analyzed when defining the treatment plan, such as patient age, type of malocclusion, facial pattern, patient profile, amount of space in the maxillary arch, crowding in the maxillary arch, shape, color and eruption position of the permanent canine, height of the upper lip and patient compliance [8 Sabri R. Management of missing lateral incisors J Am Dent Assoc 1999; 130: 80-4., 10 Kinzer GA, Kokich VO Jr. Managing Congenitally Missing Lateral Incisors Part 1: Canine Substitution J Esthet Restor Dent 2005; 17: 5-10., 12 Stenvik A, Zachrisson BU. Missing anterior teeth: orthodontic closure and transplantation as viable options to conventional replacements Endodont Topics 2006; 14: 41-50., 15 McNeill RW, Joondeph DR. Congenitally absent maxillary lateral incisors: treatment planning considerations Angle Orthod 1973; 43: 24-9., 19 Robertsson S, Mohlin B. The congenitally missing lateral incisor. A retrospective study of orthodontic space closure versus restorative treatment Eur J Orthod 2000; 22: 697-710.]. Considering the similar results achieved with both treatment options, dentists must inform patients on the advantages and disadvantages of each treatment as well as the best alternative to satisfy individual aesthetic and functional needs [2 Araújo EA, Oliveira DD, Araújo MT. Diagnostic protocol in cases of congeniytally missing maxillary lateral incisors World J Orthod 2006; 7: 376-88., 10 Kinzer GA, Kokich VO Jr. Managing Congenitally Missing Lateral Incisors Part 1: Canine Substitution J Esthet Restor Dent 2005; 17: 5-10., 52 Oesterle LJ, Cronin RJ. Adult growth, aging, and the single-tooth implant Int J Oral Maxillofac Implants 2000; 15: 252-60.]. Patients with congenitally missing maxillary lateral incisors are being treated earlier in life due to improving access to dental services [6 Cunningham SJ, O’brien C. Quality of life and orthodontics Semin Orthod 2006; 13: 96-103.]. Therefore, the option of space closure and re-contouring is favored by the younger patients. Moreover, technological advances in restorative materials and differentiated procedures, such as detailed orthodontics and periodontal surgery, have improved the aesthetic results in these patients [10 Kinzer GA, Kokich VO Jr. Managing Congenitally Missing Lateral Incisors Part 1: Canine Substitution J Esthet Restor Dent 2005; 17: 5-10.]. The present study demonstrates that this treatment option fared well in maintaining periodontal health and signs/symptoms of TMD, and should therefore be considered in patients with missing lateral incisors lateral incisors. Frequent returns to the dentist for restoration maintenance or prosthesis over the implant are important both in treatments involving tooth re-contouring with composite resin and those treated with implants [7 Rosa M, Zachrisson BU. Integrating space closure and esthetic dentistry in patients with missing maxillary lateral incisors J Clin Orthod 2007; 41: 563-73., 52 Oesterle LJ, Cronin RJ. Adult growth, aging, and the single-tooth implant Int J Oral Maxillofac Implants 2000; 15: 252-60., 53 Mondelli J, Segala AD, Pereira JC. Integrated orthodontic and restorative procedures for replacement of lost central incisors J Esthet Dent 1999; 11: 124-34.]. In the long term, slight changes in the maxillae and teeth as the result of slow, continual vertical growth in adult patients justify the adjustment or replacement of the prosthesis over the implant, due to aesthetic alterations [52 Oesterle LJ, Cronin RJ. Adult growth, aging, and the single-tooth implant Int J Oral Maxillofac Implants 2000; 15: 252-60.]. When continuous eruption of adjacent teeth and/or bone resorption around the implant is evident, further intervention is required [24 Bernard JP, Schatz JP, Christou P, Belser U, Kiliaridis S. Long-term vertical changes of the anterior maxillary teeth adjacent to single implants in young and mature adults. 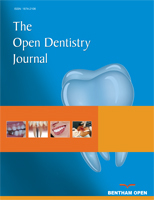 A retrospective study J Clin Periodontol 2004; 31: 1024-8., 25 Thilander B, Ödman J, Lekholm U. Orthodontic aspects of the use of oral implants in adolescents: a 10 year follow-up study Eur J Orthod 2001; 23: 715-31.]. On the other hand, continuous growth in adulthood does not result in significant changes in remodeled teeth. Moreover, unlike implants, remodeled teeth can be subjected to orthodontic movement, if needed. Therefore, the continuous growth of the patient must be considered when planning the treatment. A long-term reevaluation of the studied sample or a larger sample size could better demonstrate the behavior of both types of treatment. Assessments of aesthetics, patient satisfaction and attractiveness were carried out in the same sample, the results of which will be presented in upcoming papers. Patients in all three groups had similar periodontal status. Generally, the absence of gingival recession is associated with thick periodontal biotype. This association was only observed for SOI group, which also showed a higher number of changes in the papilla index for the teeth 12 and 22. Joint disorders were uncommon in both treated and control groups. Thus, TMD was not influenced by the type of treatment for lateral incisor agenesis. However, 44% of all patients presented mild TMD, regardless the group studied. The treatment of patients with maxillary lateral incisor agenesis is an interdisciplinary challenge that requires correct planning in order to establish long-term function and aesthetics of the smile. Altug-Atac AT, Erdem D. Prevalence and distribution of dental anomalies in orthodontic patients Am J Orthod Dentofacial Orthop 2007; 131: 510-4. Araújo EA, Oliveira DD, Araújo MT. Diagnostic protocol in cases of congeniytally missing maxillary lateral incisors World J Orthod 2006; 7: 376-88. Pinho T, Tavares P, Maciel P, Pollmann C. Developmental absence of maxillary lateral incisors in the Portuguese population Eur J Orthod 2005; 27: 457-60. Fekonja A. Hypodontia in orthodontically treated children Eur J Orthod 2005; 27: 57-60. Endo T, Ozoe R, Yoshino S, Shimooka S. Hypodontia Patterns and Variations in Craniofacial Morphology in Japanese Orthodontic Patients Angle Orthod 2006; 76: 996-1003. Cunningham SJ, O’brien C. Quality of life and orthodontics Semin Orthod 2006; 13: 96-103. Rosa M, Zachrisson BU. Integrating space closure and esthetic dentistry in patients with missing maxillary lateral incisors J Clin Orthod 2007; 41: 563-73. Sabri R. Management of missing lateral incisors J Am Dent Assoc 1999; 130: 80-4. Turpin LT. Treatment of missing lateral incisors Am J Orthod Dentofacial Orthop 2004; 125: 129. Kinzer GA, Kokich VO Jr. Managing Congenitally Missing Lateral Incisors Part 1: Canine Substitution J Esthet Restor Dent 2005; 17: 5-10. Kinzer GA, Kokich Jr Jr. Managing Congenitally Missing Lateral Incisors Part III: single-tooth implants J Esthet Rest Dent 2005; 17: 202-10. Stenvik A, Zachrisson BU. Missing anterior teeth: orthodontic closure and transplantation as viable options to conventional replacements Endodont Topics 2006; 14: 41-50. Richardson G, Russel KA. Congenitally missing maxillary lateral incisors and orthodontic treatment considerations for the single-tooth implant J Can Dent Assoc 2001; 67: 25-8. Czochrowska EM, Skaare AB, Stenvik A, Zachrisson BU. Outcome of orthodontic space closure with a missing maxillary central incisor Am J Orthod Dentofacial Orthop 2003; 123: 597-603. McNeill RW, Joondeph DR. Congenitally absent maxillary lateral incisors: treatment planning considerations Angle Orthod 1973; 43: 24-9. Carlson H. Suggested treatment for missing lateral incisor cases Angle Orhod 1952; 22: 205-16. Harzer W, Reinhardt A. Limiting factors of functional adaptation to orthodontic space closure Eur J Orthod 1990; 12: 354-7. Nordquist GC, McNeill RW. Orthodontic vs. restorative treatment of the congenitally absent lateral incisor - longterm periodontal and occlusal evaluation J Period 1975; 46: 139-43. Robertsson S, Mohlin B. The congenitally missing lateral incisor. A retrospective study of orthodontic space closure versus restorative treatment Eur J Orthod 2000; 22: 697-710. Senty EL. The maxillary cuspid and missing lateral incisors: Esthetics and occlusion Angle Orthod 1976; 46: 365-71. Tuverson DL. Orthodontic treatment using canines in place of missing lateral incisors Am J Orthod 1970; 58: 109-27. Zarone F, Sorrentino R, Vaccaro F, Russo S. Prosthetic treatment of maxillary lateral incisor agenesis with osseointegrated implants: a 29-34 month prospective clinical study Clin Oral Impl Res 2006; 17: 94-101. Zachrisson BU. Improving the esthetic outcome of canine substitution for missing maxillary lateral incisors World J Orthod 2007; 8: 72-9. Bernard JP, Schatz JP, Christou P, Belser U, Kiliaridis S. Long-term vertical changes of the anterior maxillary teeth adjacent to single implants in young and mature adults. A retrospective study J Clin Periodontol 2004; 31: 1024-8. Thilander B, Ödman J, Lekholm U. Orthodontic aspects of the use of oral implants in adolescents: a 10 year follow-up study Eur J Orthod 2001; 23: 715-31. Asher C, Lewis DH. The integration of orthodontic and restorative procedures in cases with missing maxillary incisors Br Dent J 1086; 160: 241-5. Balshi TJ. Osseointegration and orthodontics: modern treatment for congenitally missing teeth Int J Period Rest Dent 1993; 13: 494-505. Telles D, Pegoraro LF, Pereira JC. Prevalence of noncarious cervical lesions and their relation to occlusal aspects: A clinical study J Esthetic Dent 2000; 12: 10-5. Droukas B, Lindée C, Carlsson GE. Relationship between occlusal factors and signs and symptoms of mandibular dysfunction. A clinical study of 48 dental students Acta Odontol Scand 1984; 42: 277-83. Pullinger AG, Seligman DA, Gornbein JA. A multiple logistic regression analysis of the risk and relative odds of temporomandibular disorders as a function of common occlusal features J Dent Res 1993; 72: 968-79. O’Leary T, Drake R, Naylor JE. The plaque control record J Periodontol 1972; 43: 38-9. Löe H. The Gingival Index, the Plaque Index and the Retention Index Systems J Periodontol 1967; 38(Suppl ): 610-16. Björby A, Löe H. The relative significance of the different local factors in the initiation and development of periodontal inflammation J Period Res 1967; 2: 76-. Chang M, Wennström JL, Ödman P, Andersson B. Implant supported single-tooth replacements compared to contralateral natural teeth. Crown and soft tissue dimensions Clin Oral Impl Res 1999; 10: 185-94. Jemt T. Regeneration of the gingival papillae after single implant treatment. International J Period Rest Dent 1997; 17: 326-3. Löe H, Anerude A, Boysen H. The natural history of periodontal disease in man: prevalence, severity and extent of gingival recession J Periodontal 1992; 63: 489-95. Kassab MM, Cohen RE. The etiology and prevalence of gingival recession J Am Dent Assoc 2003; 134: 220-5. Bengazi F, Wennström JL, Lekholm U. Recession of the soft tissue margin at oral implants. A 2-year longitudinal prospective study Clin Oral Implants Res 1996; 7: 303-10. Olsson M, Lindhe J. Periodontal characteristics in individuals with varying form of the upper central incisor J Clin Periodontol 1991; 18: 8-82. Conti PC, Ferreira PM, Pegoraro LF, Conti JV, Salvador MC. A cross-sectional study of prevalence and etiology of signs and symptoms of temporomandibular disorders in high school and university students J Orofac Pain 1996; 10: 254-62. Dworkin SF, Leresche L. Research diagnostic criteria for temporomandibular disorders: review, criteria, examinations and specifications, critique J Craniomandibular Disord 1992; 6: 301-55. Ericsson JS, Abrahamsson KH, Ostberg A, Hellström M, Jönsson K, Wennström JL. Periodontal health status in Swedish adolescents: an epidemiological, cross-sectional study Swed Dent J 2009; 33: 131-9. Chan C, Weber H. Plaque retention on teeth restored with fullceramic crowns: a comparative study J Prosthet Dent 1986; 56: 666-71. Beyth N, Bahir R, Matalon S, Domb AJ, Weiss EI. Streptococcus mutans biofilm changes surface-topography of resin composites Dent Mater 2008; 24: 732-6. Ferreira SD, Silva GLM, Cortelli JR, Costa JE, Costa FO. Prevalence and risk variables for peri-implant disease in Brazilian subjects J Clin Periodontol 2006; 33: 929-35. Ferencz JL. Maintaining and enhancing gingival architecture in fixed prosthodontics J Prosthet Dent 1991; 65: 650-7. Kahn J, Tallents RH, Katzberg RW, Ross ME, Murphy WC. Prevalence of dental occlusal variables and intraarticular temporomandibular disorders: Molar relationship, lateral guidance, and non-working side contacts J Prosthet Dent 1999; 82: 410-15. Schiffman E, Fricton JR, Harley D. The relationship of occlusion, parafunctional habits and recent life events to mandibular dysfunction in a non-patient population J Oral Rehabit 1992; 19: 201-3. Wilding RJ, Lewin A. The determination of optimal human jaw movements based on their association with chewing performance Arch Oral Biol 1994; 39: 333-43. Diatchenko L, Slade GD, Nackley AG, et al. Genetic basis for individual variations in pain perception and the development of a chronic pain condition Hum Mol Genet 2005; 14: 135-43. Wright AR, Gatchel RJ, Wildenstein L, Riggs R, Buschang P, Ellis E. Biopsychosocial differences between high-risk and low-risk patients with acute TMD-related pain J Am Dent Assoc 2004; 135: 474-83. Oesterle LJ, Cronin RJ. 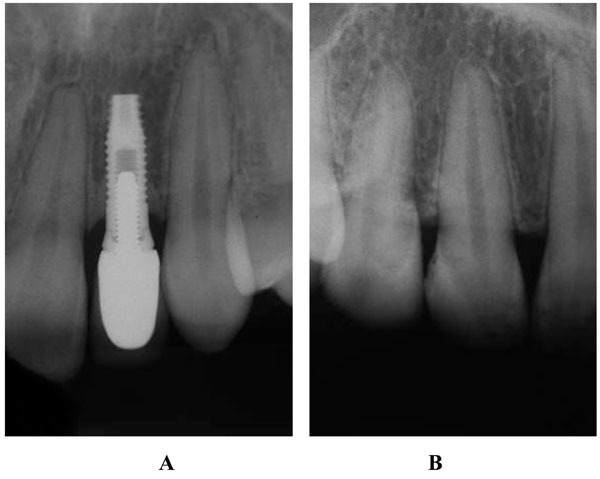 Adult growth, aging, and the single-tooth implant Int J Oral Maxillofac Implants 2000; 15: 252-60. Mondelli J, Segala AD, Pereira JC. Integrated orthodontic and restorative procedures for replacement of lost central incisors J Esthet Dent 1999; 11: 124-34.